I was earlier extremely skeptical about applying lipsticks. I am NW 42 and I always had a fear that I should go only with neutral shades as dark colors will not suit me. I might look ashy or washed out in them. So, I stick to the neutral shades only. But lately I realized that dusky skin tones look great in dark colors only. And light colors make them look darker and washed out actually. Even though I tried a few dark colors earlier but I never used to wear them on regular basis, I just wore them at parties. 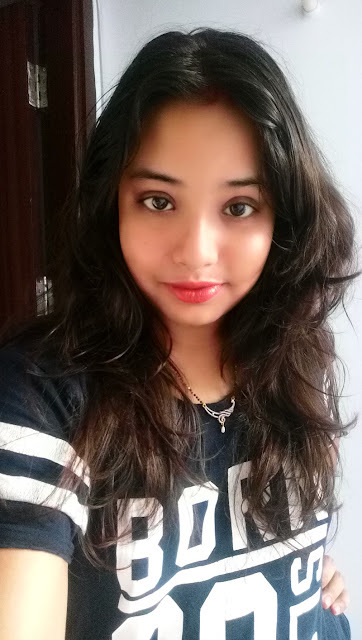 But some time ago I saw a number of girls rocking dark lippies even red colors with formal wear. 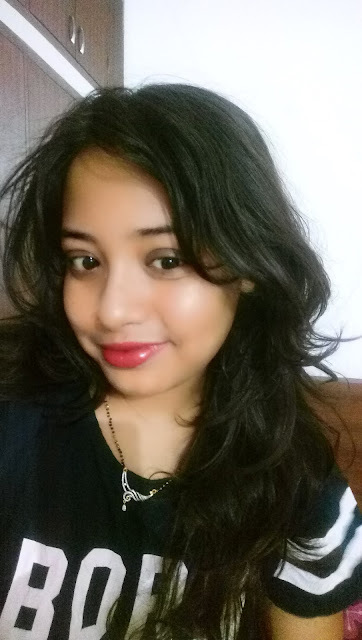 So, I also got motivated and tried a red lippy in the store and voila it looked awesome. 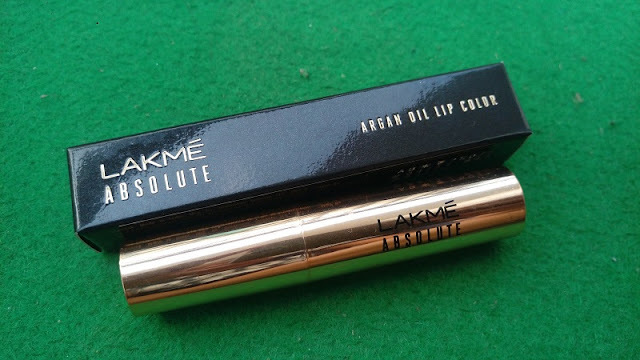 And thus I bought my very first red lippy and here follows the review of Lakme Absolute 06 Smooth Merlot Argan Oil Lip Color. Ingredients: Vitamin E and Argan Oil. 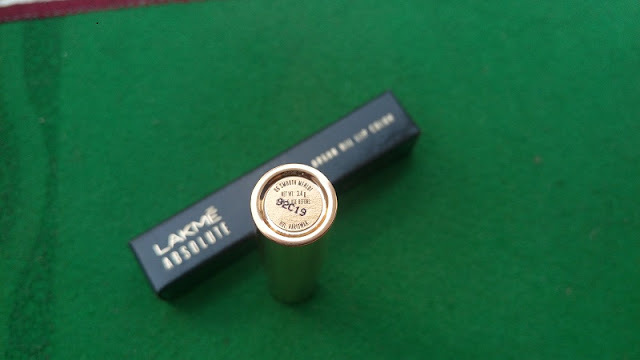 The Packaging of Lakme Absolute 06 Smooth Merlot Argan Oil Lip Color is quite luxurious but yet fuss free. 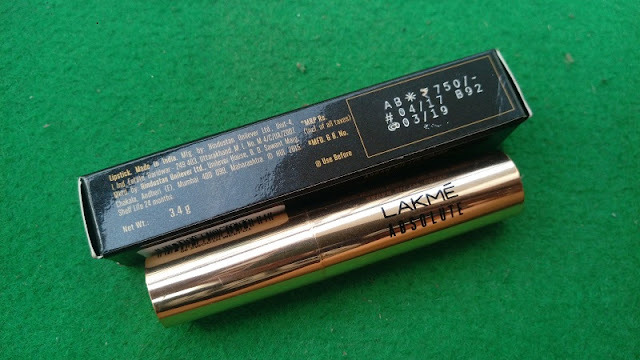 It comes in the form of bullet packaging which needs to be twisted to bring the bullet out. But you must be careful while twisting because if you end up twisting a bit more than it can break leading to wastage of the product. 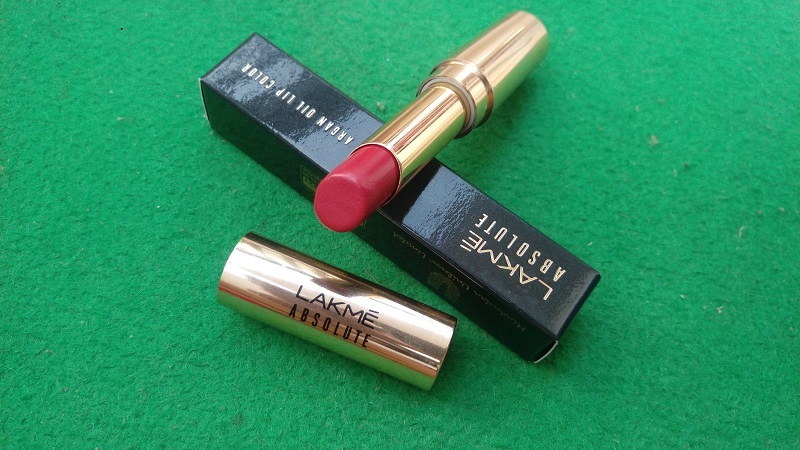 The lipstick body is golden in colour which gives it a luxurious look. So, you cannot guess the shade untill you see the bullet. 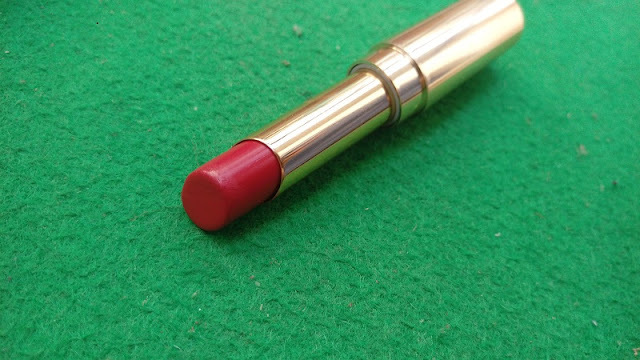 The shade name is written at the base of the lipstick which frankly is extremely difficult to read. Coming to the texture of these lipsticks they are super creamy which I absolutely love. 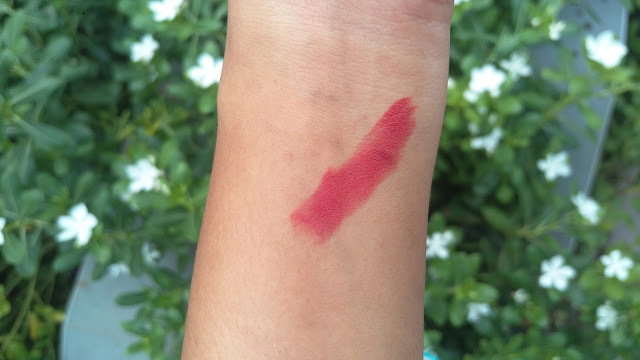 You can make the lipstick matte in an instant by dabbing them with a tissue. But for extremely dry lips like mine, this lipstick is perfect. I also dab the lipstick but even then it does not make my lips dry. 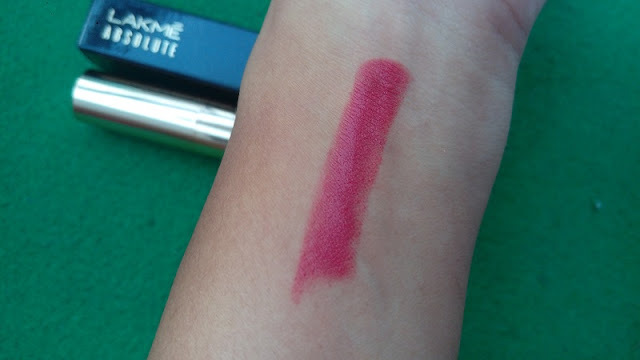 Still the creamy and moisturized finish of the lipstick is very much there on the lips. Since it’s a creamy finish lipstick it takes time to set and thus you can correct it even if you go wrong with the lipstick. But, you need to scrub and prep your lips before applying this else it can highlight lip lines. This is one of the biggest issue with creamy finish lipsticks. 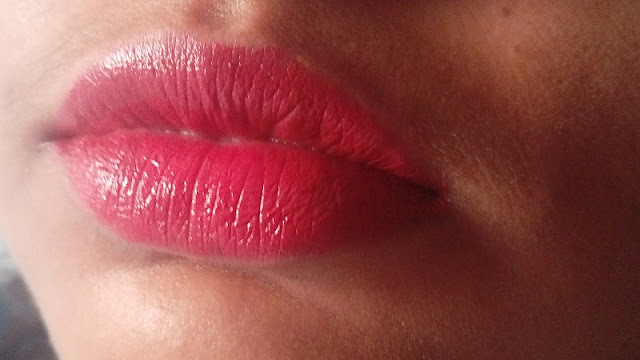 They settle into lip lines very soon, but this one doesn’t. The colour 06 smooth melon is super duper red. This is a bright red which will instantly perk up your complexion. 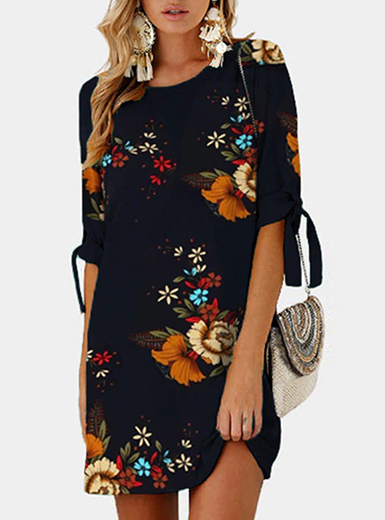 Also, the colour will look great with Indian wear. And if you are wearing some boring neutral formal then this is a good way to add colour to your look. The colour stays on for extremely long. It stayed on a good 4-5 hours with light meals and regular drinks. After meals it is still there with slight fading. So, I believe without any touch up this survived me throughout the day which is wow for me. Final Recommendation: This is such an amazing and versatile shade for everyone. The shade is a mood lifter and will be a perfect colour for the upcoming festive season. I love that shade on you, it looks beautiful. Great review!